Looking forward to Dinslaken! I’ve never been to Germany but my Grandpa had a few flying visits back in the early 1940’s and didn’t think much to it. I’ve heard they’re a bit more welcoming now though! 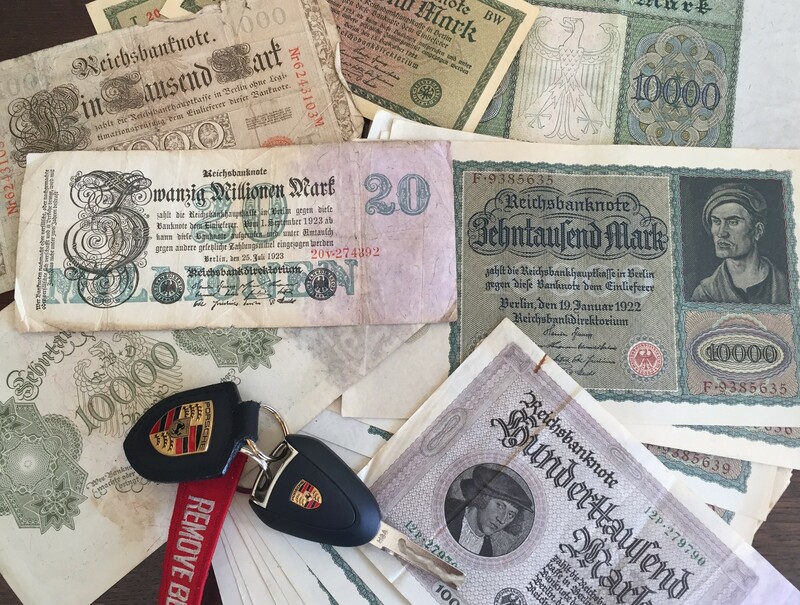 I thought I’d better dig out some currency – does anyone know the Deutsche Mark exchange rate at the moment? Am I buying a Singer or a schnitzel...? As mentioned i will be heading to meet Richard monday morning, and will be at the ring and surrounding area on Sunday all day as im arriving in Nurburg Saturday afternoon. So maybe see you Sunday afternoon? Unfortunately JohhnyD cant make the trip this year as his car is in bits. they are quite friendly, but dont tell them your name Pike . Ah, your name vill also go on ze list!! NB: The list above is based on best information available @25th April 2018. QUESTION - Is anyone getting a CRIT-AIR sticker for drivign through Europe ? I dont have one ! "As of January 2018, the stickers are currently in use in Paris, Lyon, Grenoble, Lille, Strasbourg and Toulouse." Your old wheels. Check !! tooth picks for after Pagoda ! Booze breath tester - in car for France!! !